In a mechanized, modern world, where commodities are rarely made by hand, let alone by the hands of one person, it can be refreshing to see someone step forward and make his livelihood by his craft. 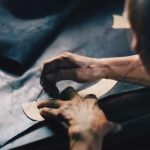 There’s a unique charm to something roughly hewn from raw materials, none of which can be mass replicated; each one bears a personal touch that lends special value to the fruit of one’s hard labour. Marco Finardi, an artist from Cremona, Italy, worked as a graphic designer for nearly two decades before he decided to turn to the craftsman’s life, full time. Despite always having felt an artisan at heart, he never wholly committed to his most beloved pastime: wood-working. Having had a long-term interest in building wooden tobacco pipes as a side hobby, the vision of bristles nestled in the mouth of a pipe appeared to him, prompting his full-time devotion to the creation of luxury shaving brushes with briarwood handles. Compared to the wealth of interesting designs that we see in pipes, shaving brushes have, for the most part, maintained their canonical column-shaped handle—or at least they had, up until Marfin brushes came along. 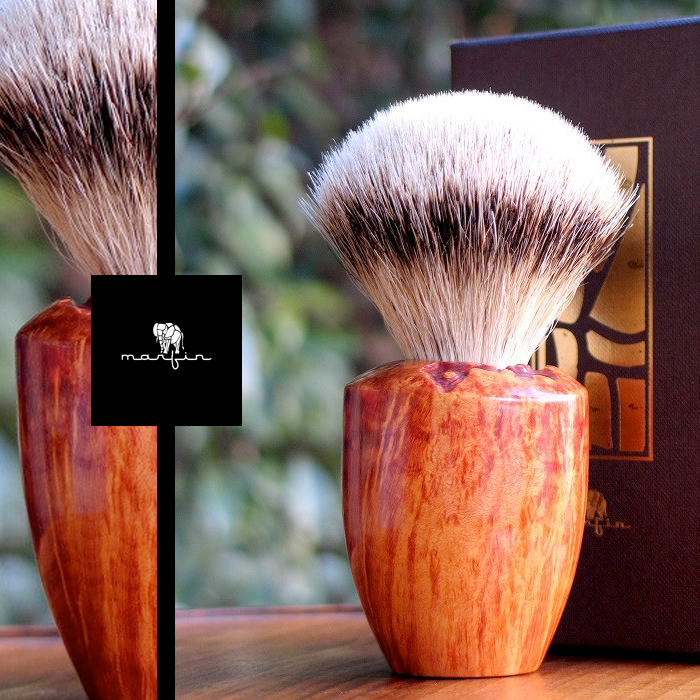 Marfin is the name Finardi gave to his brushes; each one features a hand-carved briarwood handle and a knot of high-grade silvertip badger hair, which he regularly obtains from a Florence craftsman. The process of making the handles starts with the selection of briarwood, a tight grained, hard wood with exceptional heat resistance. Finardi visits a sawyer in Tuscany to collect the briarwood, which is about 30 years old at the time of harvest, cut from a wild shrub that grows in the Italian Apennines. He only takes with him the plateau, which is the wood at the edge of the root, highly vaunted for its convoluted grain patterns. 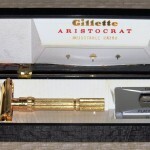 Once he has his stock, he studies each piece, and bases his handle design on the distinctive grain patterns before him. One glance at any of his brushes will reveal Finardi’s infatuation with sinuous wood patterns, with each one of his handles refusing to take on a definite shape: willowy, circular lines erupt into broad lances, and sharp edges lapse into winding patches of natural briarwood. While most of Finardi’s brushes show a wooden hue, naturally augmented by a Tung oil wood stain, they range from warm honey blondes, to earthy greens, pigments created by all-natural colouring. 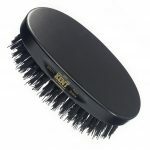 Each brush features a special grip which keeps the bristles rooted firmly in place, forestalling shedding and ensuring effective lather application. One by one, the bristles are aligned to a mold, strategically placed according to length and thickness, to produce the prototypical egg-shaped tuft. Once placed, each hair is cemented to the wood base with a special strong-hold glue, creating a brush that is built to last a lifetime. 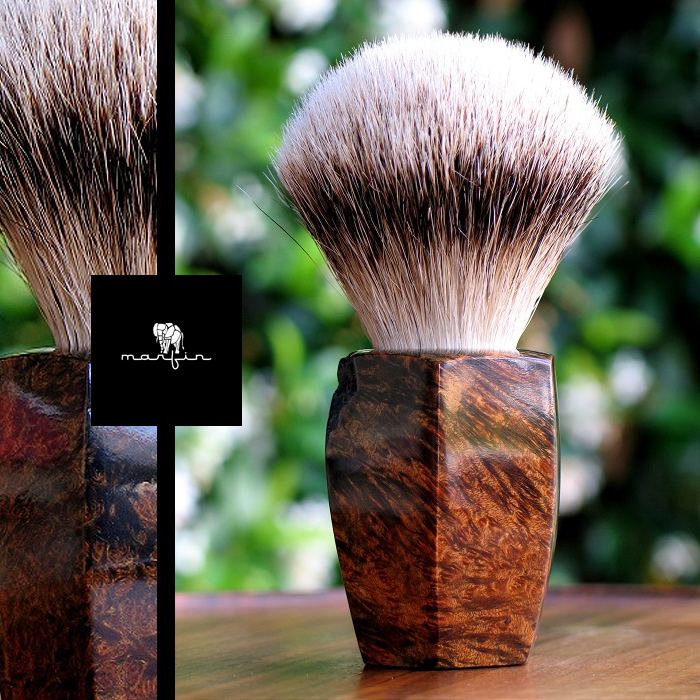 Perhaps the most remarkable aspect of Marfin shaving brushes, however, is that each one is entirely unique: each piece captures a moment of artistic inspiration, flaunting its own history and personal charm. 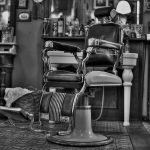 And in an age of bland, anonymous mass production, an honestly hand-crafted and passionately created grooming accessory is an experience well worth treasuring. Hello Marco, I met an apple salesman in New York City a while ago selling apples for $1000 a piece. I said how many apples do you expect to sell at that price? He replied…I only need to sell one. I just purchased a beautiful shaving scuttle by Junuchi and paid $95 for a handmade piece of artwork I use only when I shave. My first violin didn’t cost as much as you are asking for a block of wood with a few badger bristles. I love artisans and want desperately to support you, but come on. This isn’t going to hang on my wall. It would look very nice next to my very reasonably priced Junuchi, but not at $430! I don’t mean to take anything away from you as an artist, but a piece of briar, and a dremmel tool (or lathe) and a badger knot is not worth the price you are asking….even if it does come from the town that gave us Amati, Stradivarius and Guarneri. Let’s be real. I want one, but not at these prices. Great!! How do I obtain one of these masterpieces from the home of Stradivarius?